During experiment week this one was a hit! The objective was initially to have the kids walk on water. 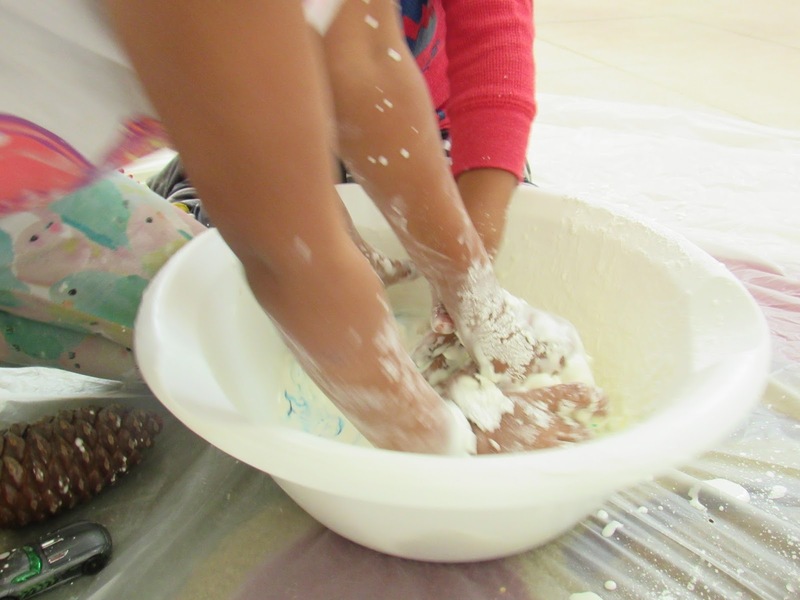 Due to the limited supply of corn starch we did this experiment in a bowl rather than our kiddie pool. 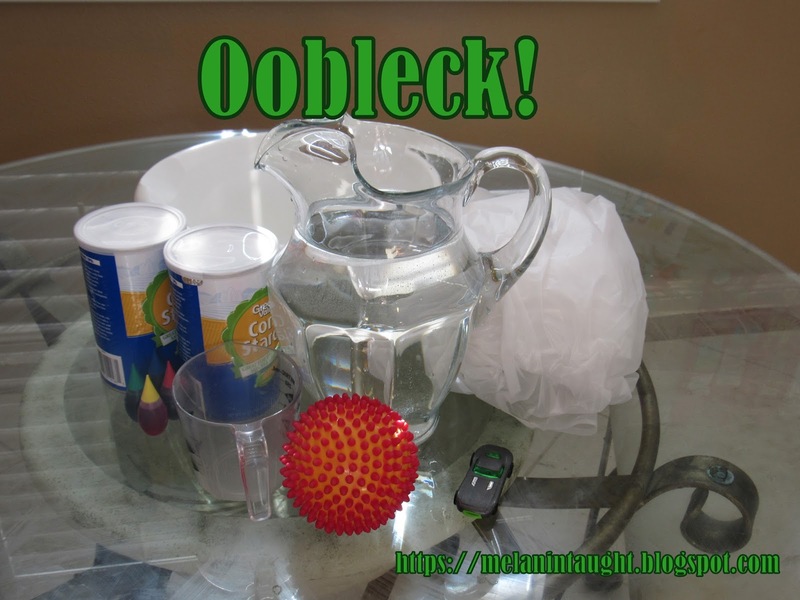 Ball and car to explore how they react to the oobleck. 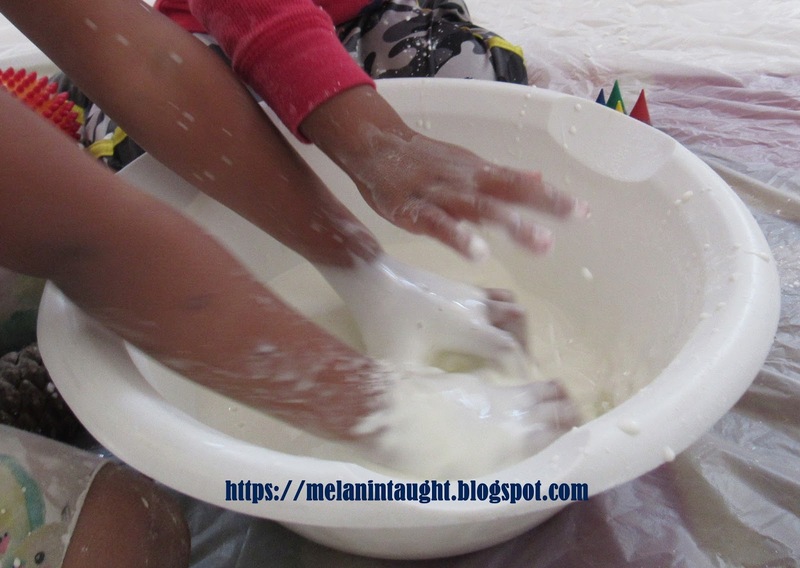 This recipe is simple 2 parts corn starch one part water. The kids loved exploring to see the progression of consistency. Its extremely messy so here is a teaching hack I have learned. When doing messy learning I tack the curtain or table cloth to my tile floor using my hot glue gun. The kids had a lot of fun discovering how this liquid behaves (at times) like a solid. They were covered in oobleck by the time we were done. I let them play with it after our official lesson so they could mix various colors. Here are some questions and discussion points. 2. What stage is this in? 3. How does each stage behave? 4. How do you know something is a gas? A liquid? A solid?